HOUSTON, TX – July 19, 2016 – A year after first announcing long-term plans for the redevelopment of the former ExxonMobil Chemical headquarters campus and renaming the prime, future mixed-use district at 13501 Katy Freeway as Republic Square, sole owner and the project’s developer, Third Palm Capital, is in the process of repurposing the existing buildings on this approximately 35-acre Energy Corridor site. 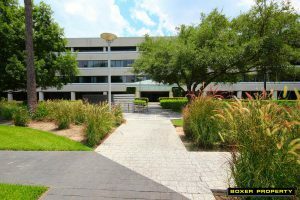 Houston-based Boxer Property has been awarded the leasing and management assignment and is overseeing a program of enhancements to introduce these facilities to a diverse mix of tenants of all sizes, as well as neighbors and guests, later this summer. In anticipation of the debut, preparations are underway to open Republic Square’s park-like grounds with central lake to the public. And existing amenities, including The Event Center at Republic Square, a 20,000-square-foot, state-of-the-art event and conference facility plus Republic Square I, a three-story, 320,000-square-foot office building with multi-level garages, landscaped courtyards and commissary kitchen, are being reimagined to support tenants of all sizes, as well as collaborative work spaces. Current exterior work to Republic Square encompasses improving visibility and accessibility off Interstate 10 and Memorial Drive, the addition of a surface parking lot along Memorial to service the meeting and events center and beautification of the mature grounds, including the removal of overgrowth and fencing to provide a clear path from the BP campus on the western perimeter through Republic Square to Terry Hershey Park on the east. The majority of interior updates are being focused on Republic Square I. 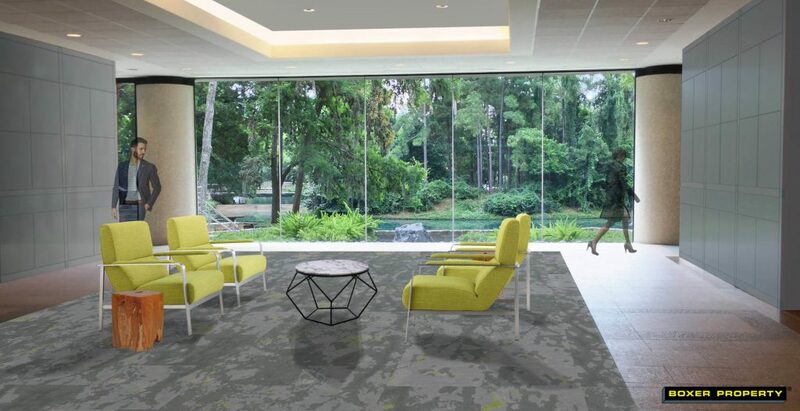 The building’s striking and expansive lobby, which leads to a glass-walled lake overlook, and its gallery-like, outdoor-oriented public areas are being rejuvenated with new paint and carpet, plus contemporary furnishings and art. 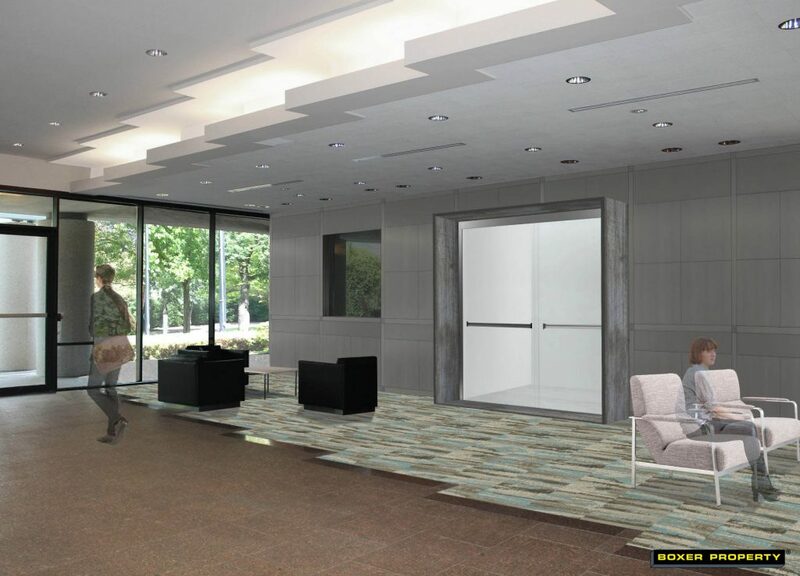 Boxer Property will also introduce its signature Workstyle collaborative space featuring common area lounges, meeting spaces, coffee bars and Wi-Fi. Poised to serve as a new community gathering place and hub for flexible work space in Houston’s Energy Corridor , Republic Square is owned by Third Palm Capital. After purchasing the campus from ExxonMobil Corporation in late 2013, Third Palm then leased back the improved portion of the property to ExxonMobil through April 2015. 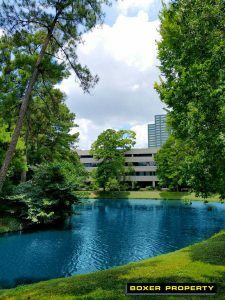 Located just west of Eldridge Road at the western gateway to Terry Hershey Park, the wooded campus spans 35 acres with prime frontage along Memorial Drive and Interstate 10. Current amenities include a central lake, 20,000-square-foot meeting and event center, and Republic Square I, a 320,000-square-foot office building with commissary kitchen. Future plans call for hotel, office, multi-family and retail development. Third Palm Capital, the owner and developer of Republic Square, is a national real estate investment and development firm that relies on our guiding principles to deliver our customers and tenants the highest quality residential, commercial, and resort properties. Third Palm has over $750 million in assets and active investments in New York, California, Florida, and Texas. Boxer Property is celebrating 24 years as an innovative commercial real estate investment and management company that specializes in maximizing the value of under-utilized properties through aggressive leasing and hands-on management. 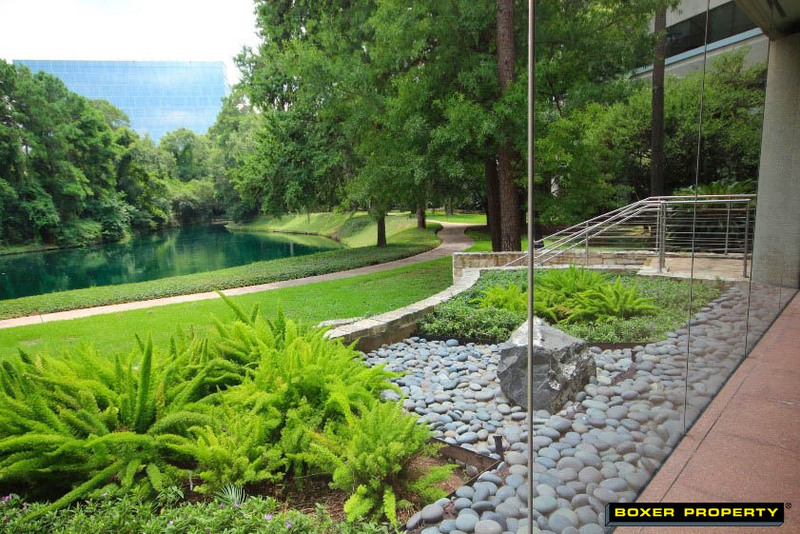 Founded in 1992, Boxer Property is a private firm based in Houston with more than 18 million square feet of commercial real estate nationwide.